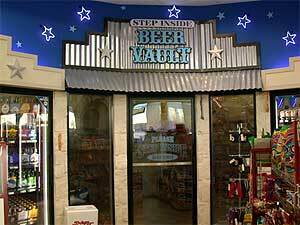 Why Buy A Beer Cave? Beer Caves are not a new idea. 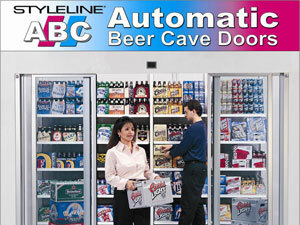 Beer has been stored in underground caves since recorded time in efforts to chill and preserve the product. Today, we have a modern option which utilizes commercial refrigeration and walk-in coolers to preserve and merchandise the product. These walk in coolers, now called Beer Caves, are the perfect solutions for storing one of the most popular beverages in the world. 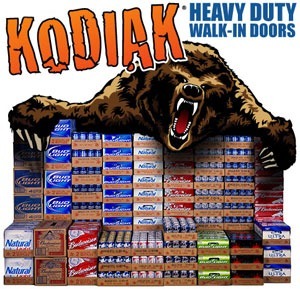 Your vendor will deliver and stock the product in your Beer Cave, your customer will transport the product to your cashier, and you will collect the profits while your customer enjoys a nice “Cold” Beverage! 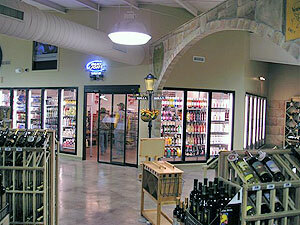 Let us work with you to design your next beer cave, and you will be the talk of the Town!! 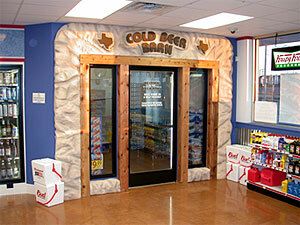 See JayComp, your convenience store design consultants. 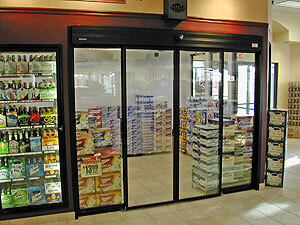 Remember, JayCompDevelopment.com is your one-stop shop for all of convenience store and grocery equipment needs. From Convenience Store Design, commercial refrigeration, gondola shelving, commercial cabinets, ice machines, fountain machines, commercial coolers and graphic design, we have what you need to operate a successful business and create a customer-friendly atmosphere that maximizes profits. Glass display door solutions from SCHOTT Gemtron offer outstanding quality and value—along with a high degree of flexibility. Backed by a 35-year history of innovation and product leadership—and a partnership with global glass leader SCHOTT. SCHOTT Gemtron is establishing itself as the premier supplier of refrigeration systems for convenience stores, supermarkets, drugstores, buying clubs, foodservice equipment, and other retail environments. SCHOTT Gemtron’s extensive product family includes premium refrigeration solutions that offer significant advantages over existing technologies—while meeting virtually every performance and aesthetic requirement.